Sweden is exceptionally advanced in decarbonizing its society and in switching from fossils fuels to renewable sources. However, the transport sector still depends heavily on fossil fuels, and the Swedish government has set the target of a fossil fuel-free transport sector by 2030. 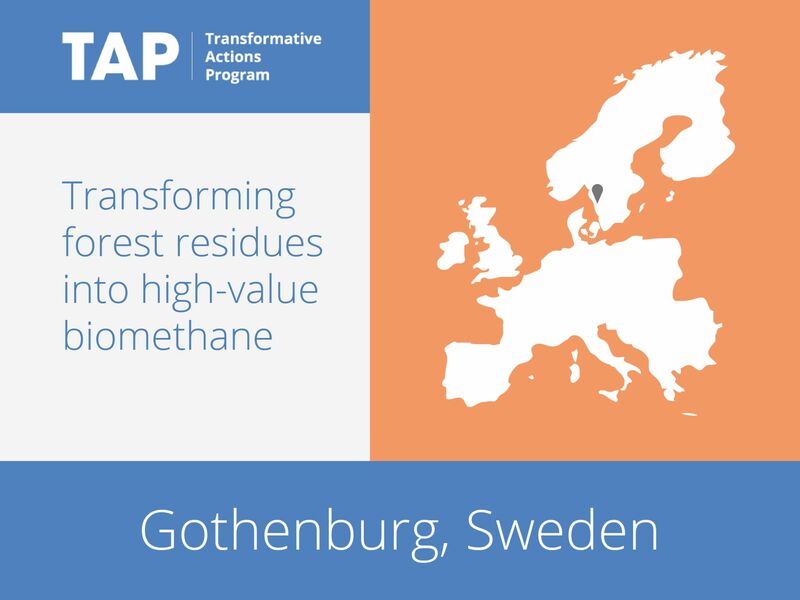 Gothenburg is contributing through the Gothenburg Biomass Gasification (GoBiGas) project, the largest instance of the use of forest residues for the production of renewable fuel. It aims to transform 65 percent of the energy contained in the forest residues into high value biomethane. If the plant runs as planned, it will produce energy equivalent to that required to power sixteen thousand cars.